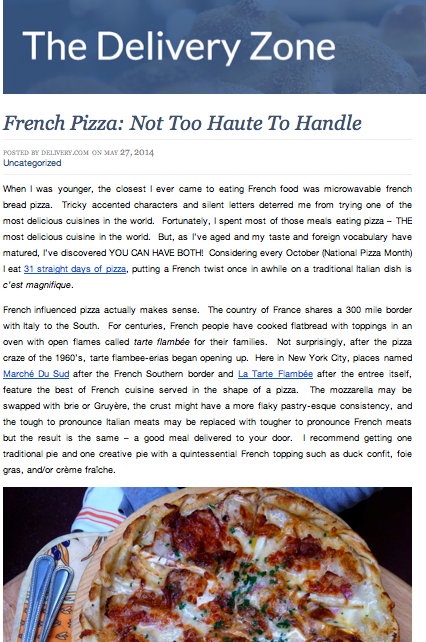 My recent contribution to delivery.com's blog is an entry about French pizza (aka tarte flambee). Coincidentally, I am heading to Paris, France next week so please let me know if there is something in France (aside from the obvious) that I cannot miss. Also, if you know of a good place to grab a slice, please contact me!